The Third Edition of Lippincott Williams & Wilkins' flagship and cornerstone basic textbook of nursing assisting. 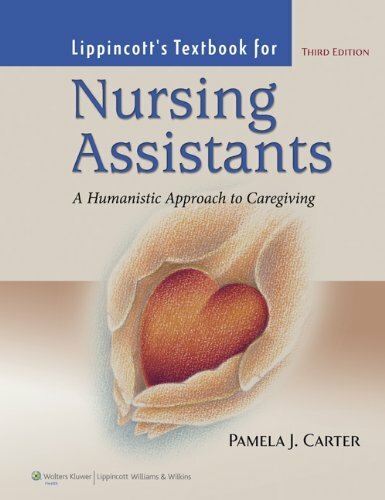 This engaging, ancillary-rich text is intended as the basic training resource for the Nursing Assistant course which generally encompasses 120 hours of training. Three key beliefs form the basis for the textbook: students need a textbook that captures their interests and increases their desire to learn; graduates of nursing assistant training programs must be able to provide competent, skilled care in a compassionate way; and the nursing assistant is a vital member of the health care team. Carter RN BSN MEd CNOR, Pamela J.